Planning officers have recommended that permission to build the £45m Impact Centre be given the green light when proposals are determined by the development management sub-committee next week. Officials said that the Impact Centre “would make a valuable contribution to the city’s cultural infrastructure and provide opportunities for its use by the wider community”. Located behind Dundas House at St Andrew Square, it will also become home to the Scottish Chamber Orchestra and will be used as a venue for the Edinburgh International Festival. At Wednesday’s hearing, councillors will listen to presentations from Richard Price from New Town and Broughton Community Council, Adam Wilkinson from Edinburgh World Heritage Trust and Terry Levinthal from heritage watchdog, the Cockburn Association. 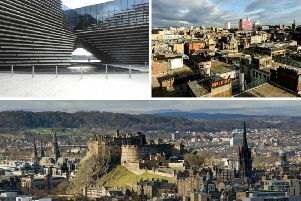 City centre councillors and other interested parties, including Impact Scotland, will also be given the chance to have their say on the plans. 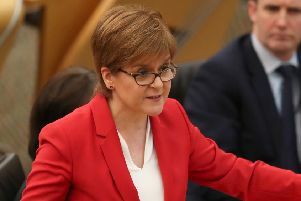 Bosses at the new St James Centre, which is currently under construction, have raised fears over traffic and deliveries while the Gleneagles Hotel, being built at St Andrew Square, has highlighted noise concerns. The St James Centre has also raised concerns about the use of concrete for the new concert hall, labelling the material “completely inappropriate”.